Oh, Nightstand, how I love and hate you. You remind me of all that I want to read and all that I was not able to get to. Yet I still cannot resist participating in this monthly meme, hosted by 5 Minutes for Books. Although it's almost like torture, I'll continue to plot a course and see how closely I can stick to it. This past month I have focused almost exclusively on Narnia. I absolutely love The Chronicles of Narnia Reading Challenge, hosted every year in July right here at Reading to Know. 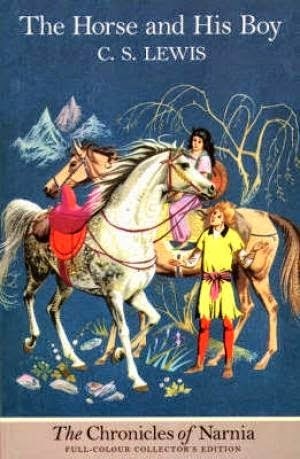 This year I read The Horse and His Boy aloud to my kids and we just finished reading The Last Battle (review forthcoming). It's been a lovely month in Narnia and, if possible, I love it more than I ever have in the past. Also in conjunction with the reading challenge, I read Live Like a Narnian (linked to review). I can't say it was my favorite or that it was completely awful. It's just not my first choice. It's worth noting. Currently, the kids and I are reading 101 Dalmations together along with the classics book club group. Beyond that, we shall just see what happens! Now I'm off to see what you mentioned your nightstands so that I can make my own reading list longer and more complicated. What a diverse list! I have to say The Last Battle is definitely my favorite Narnia book maybe second only to The Lion, the Witch and the Wardrobe... but if a second, it's a close second. I'm intrigued by Remember, Remember. I'll have to look for that one. Read 101 Dalmatians several years ago, will add it to my list to read aloud soon. It was such a good read. I also read The Forgotten Garden some time ago. I had such mixed feelings about it. Love Kate Morton's way with words... but there were some things I really didn't like about that book. I have this gut feeling you won't like the book, but guess we'll wait and see. How the Heather and Remember, Remember sound interesting. Adding to my ever-growing library list. We read 101 Dalmatians a few years ago and really enjoyed it. I thought for sure you would get to My Antonia by Willa Cather before me. I'm 3/4 of the way through and find it's an okay read. I don't know if I'd recommend it. I don't see a point in keeping it. I have so many others that I truly LOVE. I can't keep them all. 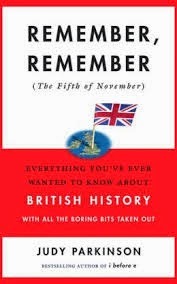 I'm tempted to get Remember, Remember, but I think I'll wait to see what you think of it. Sounds interesting! I didn't think I had a book for the Narnia challenge but just started one today that might qualify. It'll be a push to get it done by next week, but we'll see! I also wonder if you'll like The Forgotten Garden. I did, though it had it's flaws. I don't think my library has Miss Buncle. Will be looking for it though! I have The Forgotten Garden on my shelf, but I keep hearing such mixed things about the content of her books. I haven't read it yet, so I'll be curious to see what you think. I need to revisit The Chronicles of Narnia. Also, enjoy the Harry Potter series. I read them with my oldest about four years ago. Loved sharing it with him, then with my daughter and my youngest read the series last year. I just finished the first Harry Potter book - for the first time! I enjoyed the Miss Buncle books several months ago. They were great late night reads when I couldn't sleep. 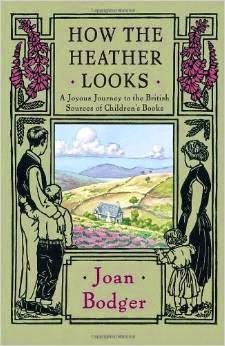 How the Heather Looks is simply enchanting - first hand descriptions of literary locations in England! You'll find old favorites and perhaps make new friends. I would like to reread it now that my children and I have fallen in love with the Swallows and Amazons series, but, alas, our library got rid of their copy. I loved The Last Battle but I've only read it once. I look forward to setting aside time to soak it in again in the future. I never thought I would be a Potter fan, but I loved the books. I hope you enjoy them too! Argh! 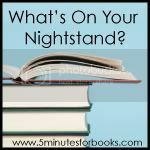 The Nightstand posts keep coming at a very inconvenient time! I keep missing them... right now I am reading The Lion, the Witch, and the Wardrobe and loving it! I will also shortly be reading 101 Dalmatians as it finally came available at the library TODAY. No idea what's next... Good luck with The Brothers Karamazov! I read it a couple years ago and have no plans to reread it. ;) It was interesting, had some great discussions and quotable lines, but was a tough read. Gotta love reading in preparation for a trip - I recognize it in your "slowly plodding" titles. I'm proud of myself for at least having read along with the RTK classics challenge this year - even if I haven't always written up my thoughts or remembered to link up. The Brother's Karamazov may stretch me, though, since I'm still busy in baby reading and have just started my (rather homework intensive) childbirth preparation class. Nevertheless, I plan to read along - and get it DONE! *sigh* I need to do this again. I love reading your upcoming reads. Er, that is, I love reading their titles. I don't actually read them.